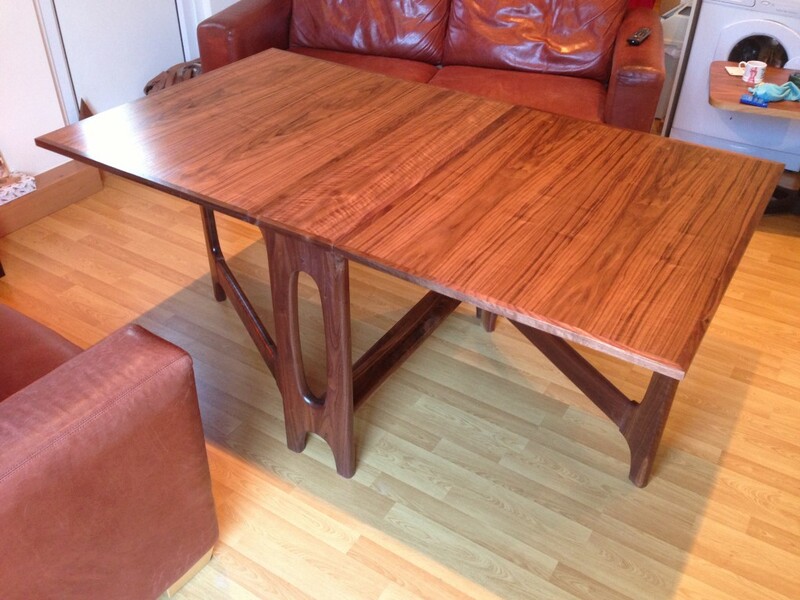 This walnut dining table was created with space and size in mind. 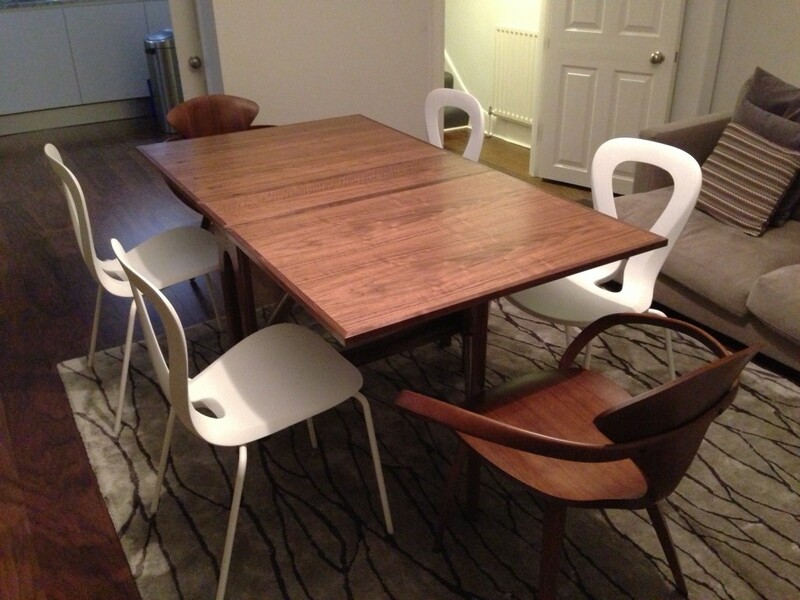 It needed to be able to fold down and still look attractive yet unfold into a large dining table for the whole family to enjoy and sit at. 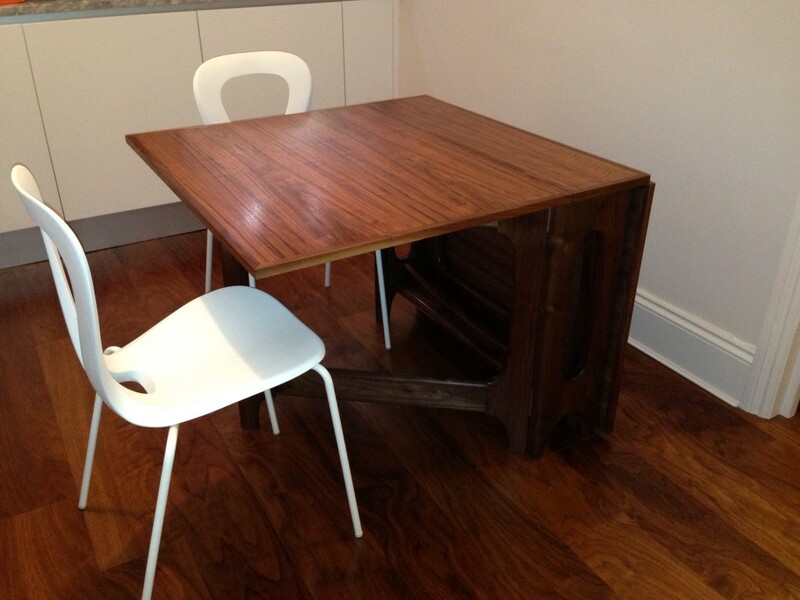 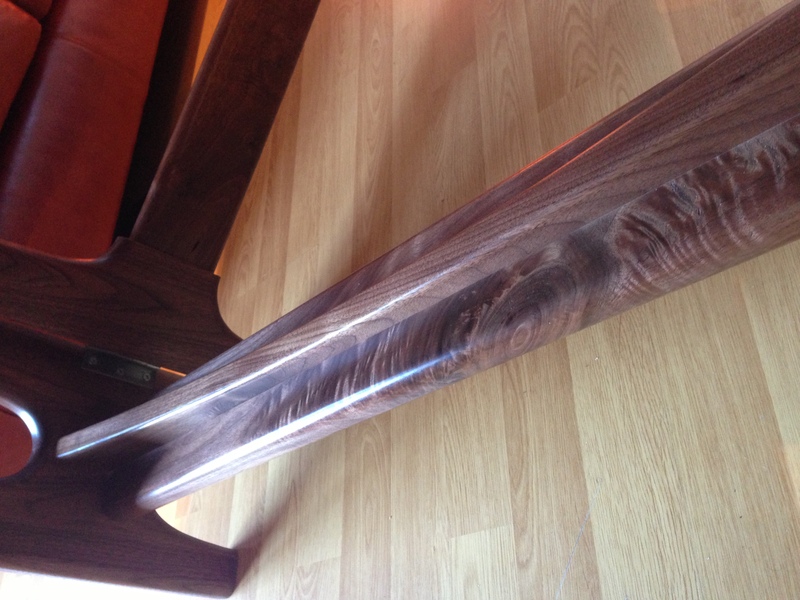 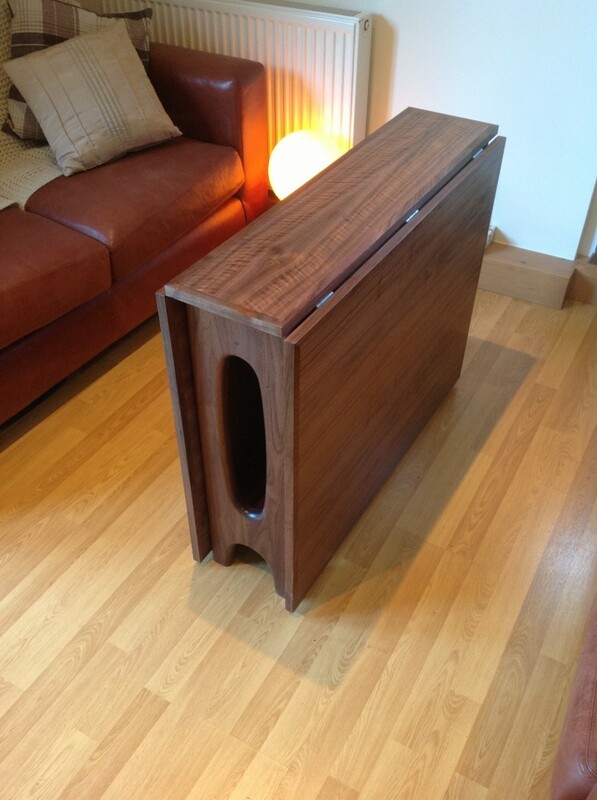 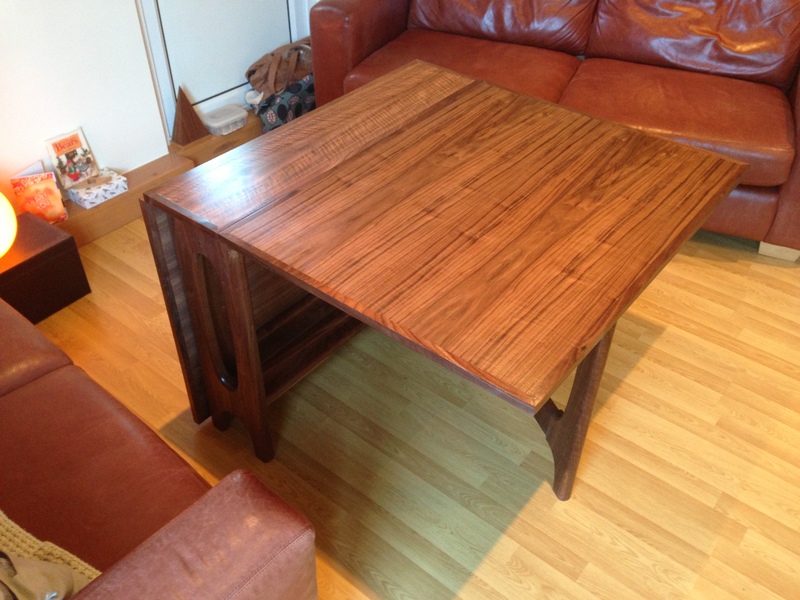 The style was sent over in a picture of a retro ercol style table but with a modern touch. 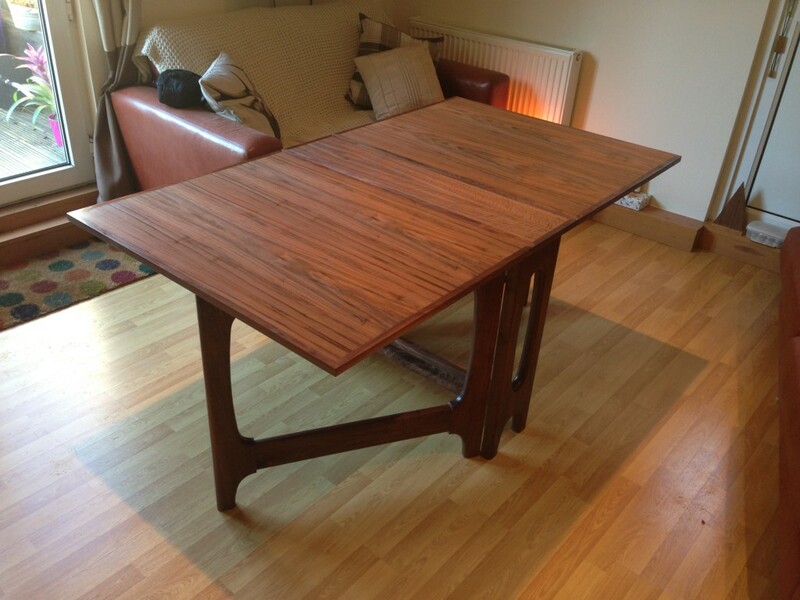 All finished in a hard wearing wiping varnish and wax.